Truck and Rail Loading and Unloading Racks: Fuel and additive loading and unloading may require hundreds of fast open/close cycles per day. The DAN-EX unique solid cam with roller type bearings can be driven fast and efficiently to perform this demanding application. Loading and unloading facilities around the world have trusted DAN-Ex to seal 100% under fast and numerous cycles. Tank Storage Application: Fuel in storage tanks is exposed to contamination and loss of volume unless tank isolation valves can be checked for leakage. 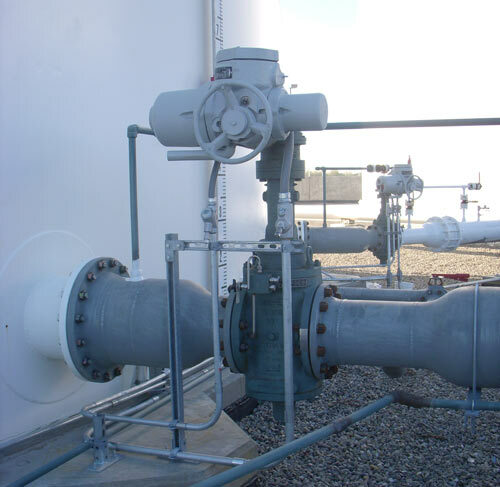 DAN-Ex valves are used on tank farms, vessel loading wharfs, etc with the bleed valve opened for DB&B and well as left closed with the assurance of a tigh shutoff with the body bleed valve closed. Equipment/Safety Isolation: Regulations 100% provable verification of shutoff before maintenance is performed on pumps, control valves, etc. The new API Requirement for Double Isolation and Bleed requires the use of the DAN-EX valve that has two independent seating slips that are mechanically held against the body seat and do not rely on line pressure or springs for a shutoff. 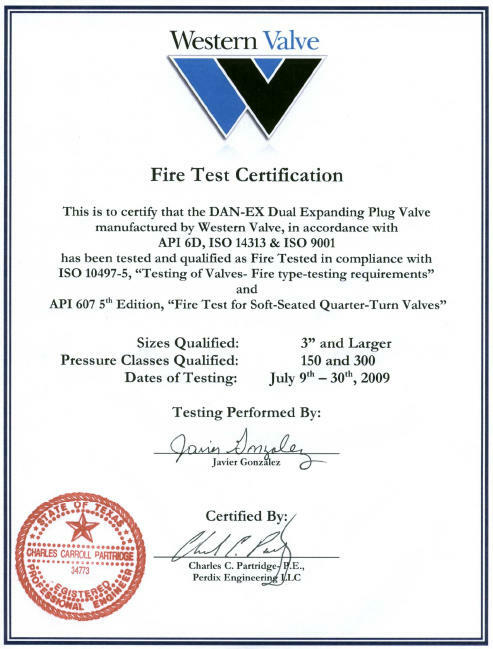 The DAN-EX valve will not relieve any build up in body pressure to the downstream port.